Pumice is an ideal soil conditioner for greenhouse applications demanding a long-lived, hard-working propagation and growing medium. The high-performance concrete needed to cement high pressure and high temperature oil wells must be flexible, enduring, and very strong. 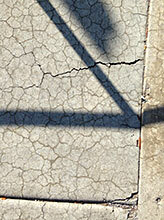 Such a concrete is formulated by using a natural pumice pozzolan in the mix design. Completed in 126 AD, the enduring Pantheon in Rome, and in particular the dome, was constructed with pumice aggregate and pumice pozzolan-enhanced concrete. 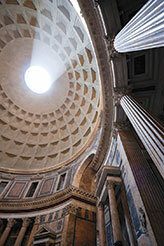 Almost 2000 years later, the Pantheon is still the world’s largest unreinforced concrete dome. Pumice has a number of characteristics that combine to make it a valuable and versatile player in a variety of industrial processes and products. Pumice is amorphous and generally inert, has a neutral pH, yet is hard enough to be used as an abrasive. Yet, because of its porous nature, pumice is amazingly lightweight. The friable nature of pumice is one of its most significant characteristics—meaning pumice is easily crushed and refined without loosing its utility: at any grade—from half-inch aggregate to microfine powder—pumice remains abrasive, absorbent, non-compacting, lightweight. Sustainable and abundant, pumice is indispensable. Grouped by attribute, the following is a breakdown of where and how pumice is used. Pumice is the exfoliating agent of choice for manufacturers needing a mild abrasive that can be processed to extremely fine grades. 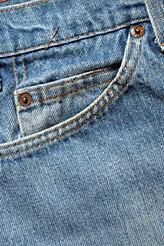 Pumice stones are used to soften stiff fabrics like denim. Pumice is widely used as an industrial abrasive where the protection of the surface is critical. Various grades and blended grades of pumice are used to: Polish glass, clean and texturize electronic circuit boards, clean lithographic plates, prepare metal surfaces for electroplating, buff leather and fine furniture woods, act as a tumbling media for things like buttons, cutlery, small metal or plastic parts. —Dental Prophy Pastes: Cleans and polishes while protecting delicate tooth enamel. Also used to prepare teeth for resin bonding applications. —Cosmetic Scrubs; Exfoliants: Gently removes dead skin while cleaning, smoothing and improving skin texture. —Hand Cleansers: Pumice-enhanced soaps break loose sticky dirt, oils, grease, inks, adhesives, paints, etc. —Rubbing Compounds: Delicate finishes require a delicate abrasive to gently remove waxes, paint defects, oxidation, and scratches. —Scouring Pastes and Powders: Used to clean and polish, removing grease, dirt, soap scum, mineral deposits, scuffs, scale without harsh chemicals. —Pencil Erasers: Pumice aids in separating the graphite from the paper fibers so it can be captured by the rubber compound. —Callus Removal Stones: Can be either cut natural pumice stones or formed and pressed from pumice aggregate. —Stain Removal Stones: Sticks cut from natural pumice blocks or pressed and formed from pumice aggregate. —Mold Release Agent: Fine-grade pumice is dusted inside a mold to prevent the plastic or rubber molded material from binding and sticking to the inside of the mold wall. —Textile Softening: Known as stone-washing, pumice stones are tumbled with stiff fabrics or assembled garments (like denim) to soften the feel and age the appearance. Pumice stones are not only highly effective at giving fabric a natural worn-in look and feel, but pumice stones are long lasting and gentle on the expensive tumbling machinery. As for environmental friendliness…a natural pumice beats chemical and enzyme baths hands-down. Crushed pumice results is a maze of multi-faceted, angular nooks and crannies that trap and hold impurities in liquids. Chemically inert and inorganic, pumice has a long lifespan as a filtration media. 1) Pumice has a low-density, multi-faceted, angular structure that traps and hold impurities; 2) is chemically inert, inorganic, long filtration media lifespan; 3) versatility allows for use in single or multi-media filters and in both pressure and rapid-gravity filter designs; 4) low-cost filter refurbishment; 5) lightweight. —Waste Water Treatment: Used both in large industrial applications like treatment plants and in small point-of-use treatment cartridges. —Drinking Water: The multi-faceted structure and inert purity of pumice makes it ideal to capture and hold impurities. —Pumice Soil: Adding pumice to soils can enhance drainage and oxygenation for better crop management. —Reverse Osmosis Processes: Pumice filtration media serves as an excellent pre-treatment layer in reverse osmosis and desalination processes. —Biomass Support for Aerobic Treatment Process: Pumice provides a porous, concentrated biomass for growing the non-air breathing microbes that digest or destroy organic pollutants. —Sludge De-watering: Adding pumice to sewage and industrial sludge prior to the final de-watering step improves both the process and quality of the outcome. —Beverages: Purification of the ingredients and/or the finished beverage by filtration is essential to flavor consistency and quality. Pumice has the crucial filtration media characteristics demanded by such an exacting filtration process. The maze of chambers and vesicles that permeate pumice granules give pumice its absorbent properties. Think of pumice as a mineral sponge: inert, benign, lightweight and much more effective than sawdust, clay compounds and textiles. The absorption factor of carefully processed pumice is incredible. —Dry Absorbent: Pumice will absorb and hold oils and impurities and so is useful as a chemical and petroleum dry absorbent and as kitty litter. —Blast Mitigation: The blast damage resulting from an explosion is caused by high velocity shock waves that pass through an object or structure, bringing incredibly disruptive energy along with it. It is only when blast energy is spent—either over distance and/or by absorption—that the violence and damage from the shock waves is mitigated. Pumice, with its strong cellular structure, soaks up ballistic shock on a sequential cellular level beneath the force of the blast, thus absorbing much of the force of the damaging energy. That makes pumice very useful as a blast mitigation media in grenade, bomb, and missile encasements, as well as other applications. Pumice is blended with soils that must support healthy, vibrant turf grasses while holding up to the soil-compressing traffic common to golf courses and parks. 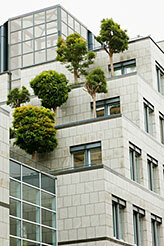 Rooftop Gardens need soil that is lightweight and easy to manage. Pumice is blended with soils to reduce bulk density and provide excellent water retention and aeration. Pumice is renowned for its ability to condition soils and growing mediums by adding critical properties to the soil, such as enhanced drainage, and the ability to hold both water and air. Not only can plant roots easily access moisture and oxygen through pumice-enhanced soils, but the carbon dioxide respirated by the roots is able to easily escape the root zone. 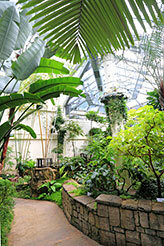 —Soil Conditioner for Potting and Garden Soils: Lightweight and friable, pumice will not compact or become soggy, increases the bulk density of potting mixes and loosens the density of heavy clay garden soils, enhances drainage and aeration, holds onto vital nutrients to regulate fertilizer applications, reduces crusting, cracking, flooding and shrink-swelling, does not attract or host nematodes or insects, is pH neutral, and will not rot or decompose. —Lawn and Turf Management: Pumice is used both to create a quality seed bed for new turf and as a topping treatment on heavily trafficked turf areas to (in combination with aeration) combat compaction problems. 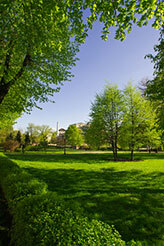 —Landscaping Mulches: Pumice is decorative and effective in controlling weeds and retaining moisture. The lightweight nature of pumice mulches doesn't compact the soil, nor will pumice rot away. —Roof Gardens: Consider the things that matter when it comes to soil ideal for growing…the proper pH (pumice is pH neutral), moisture retention, root respiration, nutrient retention, resistance to compaction, good drainage. Pumice improves soils in all the above areas, but shines in an area of critical importance to roof top garden engineering...replacing part of the soil with pumice significantly reduces the weight load. —Packing and Storage Medium: for storing tubers, roots and bulbs. —Propagation Medium: Unlike heavier, more compact sand media, lightweight pumice media gently releases the roots when cuttings are removed. —Growing Medium for Hydroponic Applications: Several pumice properties make it a great choice for hydroponics—non-compacting, lightweight, porous, pH neutral, permanent, reusable, inexpensive, available in various grades (particle sizes) so as to allow the grower to manipulate drainage capacity. —Seed Coatings: Absorbent pumice powder is used as a seed coating to protect ag crops. Pumice is also used for pelleted seed formulations developed for precision seed drills, especially for irregular shaped or very small seeds, as pelletized seeds flow smoothly and predictably through the drill. Adding pumice to winter tire formulations adds gripping power in snow and ice and improves traction and handling. 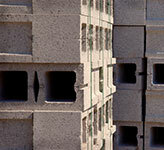 Lightweight concrete blocks are made using pumice, which can cut the weight of a standard concrete block significantly, thus reducing deadweight loads and making them faster and easier to place. The insulative and acoustical properties of the block are also enhanced when pumice replaces sand and gravel as the aggregate. Used as a filler in paints and industrial coatings, pumice has a safe, non-crystalline silica structure that lends color retention, burnish, and scrub resistance while flattening and providing uniformity to the sheen. Pumice is also useful in high-heat coating applications. 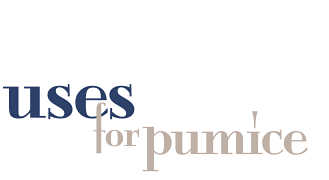 —Paints and Industrial Coatings: Pumice is a premium functional filler and extender for paints, stains, and industrial coatings—crystalline silica free, it is chemically and environmentally inert—both safe to handle and safe for the environment. Non-crystalline silica (NCS) pumice products have a lower density than crystalline silica (CS) and replace CS—or any other filler—on a volume basis, rather than by weight. This results in higher bulking values and higher yields per pound of NCS product verses CS product while still providing excellent sheen control and durability. Pumice as a paint filler also has excellent scrub, burnish and stain resistance properties. —Rubber Compounds: The most ubiquitous use of pumice in a synthetic rubber (or vinyl) compound is the humble pencil eraser; (the pumice enhances the eraser's ability to lift the graphite from the paper). Pumice is used in rubberized polishing wheels. 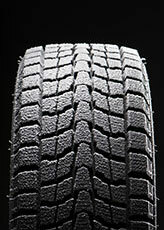 Pumice is also used in tire formulations to improve performance on ice and snow. Pumice concrete is composed of Portland Cement, pumice aggregate, pumice sand, pumice pozzolan, and water. Compared to regular concrete, pumice concrete offers roughly a one-third reduction in weight. Proportioning, mixing and placing are done in a similar manner to that of conventional concrete, as is the finishing. The applications for pumice concrete are also the same as those of standard sand-and-gravel concrete, but is particularly useful where lightweight concrete is desirable. —Lightweight pumice concrete is highly elastic, providing more flexural strength than standard concrete, affording enhanced resistance to wind forces and seismic shock waves while providing excellent compressive strength. —Lightweight pumice concrete reduces deadload requirements (and job costs) for structures. Pumice concrete can be handled by lighter equipment. 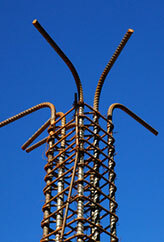 Another key factor is the cured concrete's workability, particularly in sawing, drilling or nailing. —Pumice aggregate provides up to 4x the insulation value of standard aggregates or a standard concrete mix, is freeze-and-thaw cycle resistant, and eliminates or reduces moisture condensation on structure walls and ceilings, making it an excellent choice for colder climates and locations that experience dramatic changes in weather. —The fire resistance of lightweight pumice concrete is also a big benefit: the same hour-ratings can be achieved using less pumice concrete than what is required with standard concrete. —Manufactured Stone Veneers: Another industry where pumice concrete is an ideal fit is the booming manufactured stone and brick veneers industry. The beauty of a fieldstone wall, for example, is attained at no additional cost in base support or over-sized footings. Pumice concrete-based manufactured stones are cheaper to ship, less time-consuming and labor-intensive to install, are assembled using standard mortar mixtures, yet perform and endure like any other masonry products, only better. Adding natural pumice pozzolan to concrete mix designs will protect steel reinforcement by creating a calcium silicate hydrate matrix so densely packed that liquids and/or gases cannot readily penetrate to cause the steel to corrode. In regions with reactive aggregate, alkali-silica reaction (ASR) is a relentless concrete infrastructure assassin. The photo above shows the map-cracking that is indicative of a terminal ASR infection. Pumice, like the ASR Miti•Gator™ product, is proven to prevent ASR when incorporated into the concrete mix design as a supplimentary cementitious material. Society widely “rediscovered” the benefits of pozzolanic concrete when the coal-fired power generation industry was looking for a market to use the fly ash they were scrubbing from their stacks. We can do even better by using the same natural, sustainable pumice pozzolan used by the Romans; a pumice pozz that significantly enhances concrete and performs consistently, pour after pour. Adding pumice pozzolan to concrete mix designs results in concrete that is highly resistant to ASR, sulfate attack, and chloride ingress, exhibits reduced thermal cracking, cures to form a nearly impermeable, highly-durable barrier that resists staining, cleans easily, and performs predictably, and continues to strengthen for years due to its pozzolanic charge. As much as 50% of the Portland cement (by weight) can be replaced with natural pumice pozzolan while realizing long-term gains in both strength, chemical resistance, and timeless durability. Pumice is naturally safe for the environment, while competing pozzolans are made from industrial by-products, which can contain hazardous materials such as crystalline silica and heavy metals. These benefits have been documented via extensive (and on-going) studies by the University of Utah, UT-Austin, Washington University, Clemson University and others. —stabilize and increase the compressive strength of sandy soils (permeation grouting). —seal against water inflow and prevent settling in underground tunnels for metro rail lines, mines, sewers, etc. 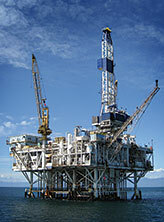 —seal against water inflow in underground storage caverns, such as those used for the U.S. Strategic Petroleum Reserve. —seal against water inflow when constructing tunnels, such as Intake Tunnel #2 beneath Lake Mead, in Nevada.